I Due Casali Farmhouse has an indoor dining room that can seat up to 50 people. The outdoor lounge hosts up to 70 guests and is warm and inviting, be it summer or winter. The dining rooms overlook the beautiful garden with a large open lawn where children can play. In addition, the restaurant is surrounded with an olive grove with secular olive trees that can be admired from the dining rooms. This place provides the perfect setting to spend your child’s First Holy Communion or Confirmation day. A range of dishes is carefully selected and prepared by the owners of I Due Casali Farmhouse. 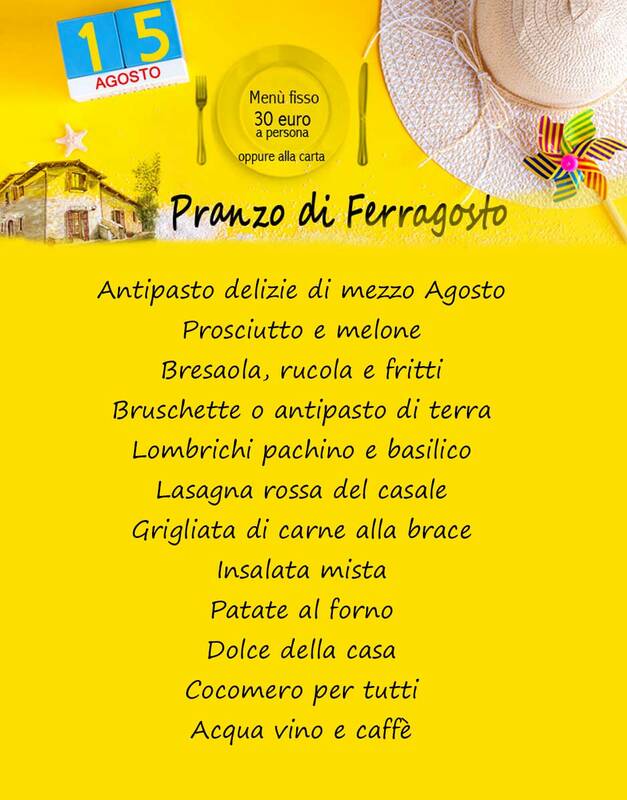 Here, the guests are offered to taste the typical flavours of Tuscia traditional cuisine: ravioli with ricotta cheese and spinach all’etrusca, lombrichi all’amatriciana or all’arrabbiata, mixed grilled meat, and many other homemade specialties. All of our homemade pastries are made with local, high-quality ingredients such as Tuscia hazelnuts. Our guests can taste and buy brutti ma buoni, tozzetti, amaretti, as well as cakes and desserts: zuppa inglese (similar to English trifle), cortina, tiramisu etc.